If you have a flat tire and need professional help changing that tire just give us a call and we will be on our way to location within minutes after receiving your call. The lug nuts may be on tight for you to get loose with a powered machine. 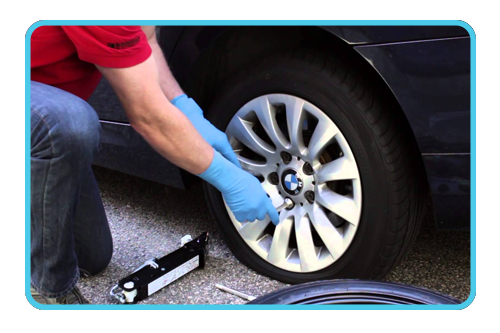 You may not feel safe changing a tire on the side of a busy highway or road. No matter what the reason, getting professional and experienced help changing that flat tire can help keep you safe and reduce any stress you may be feeling. Here at San Jose Flat Rate Towing we provide a number of different roadside services including changing that flat tire for you. When you call our tire changing service we will come to your location and change your tire for you using your spare tire. So make sure that you have a good working tire in the trunk of your car when calling for a tire change. If you have custom rims on your car they cannot be removed without a key to do so. This means unless you can provide our tire changing technician with a key to remove the rim from the damaged tire we won't be able to change the tire for you. who are shipping an automobile from one location to another. We provide competitive rates for long distance towing and provides the utmost care when towing your vehicle either a short or long distance. We are dedicated to ensuring that your vehicle reaches its intended destination safe and secure on the date agreed upon for it's arrival. 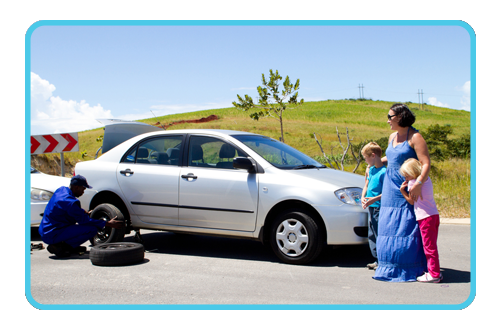 When pulling off of the road with a flat tire always keep your family and your own safety in mind. Pull off the road as far as possible and turn on your hazard lights so approaching automobiles will know that your car is not running. If your flat occurs on a busy highway, you shouldn't attempt to change the tire yourself, but instead call our professionals here at San Jose Flat Rate towing to change the tire for you, since our professionals are trained to changed tires under all different types of conditions and in many different situations. If you have a flat tire and need professional help changing that tire just give us a call at 1-408-471-9989 and we will be on our way to location within minutes after receiving your call.